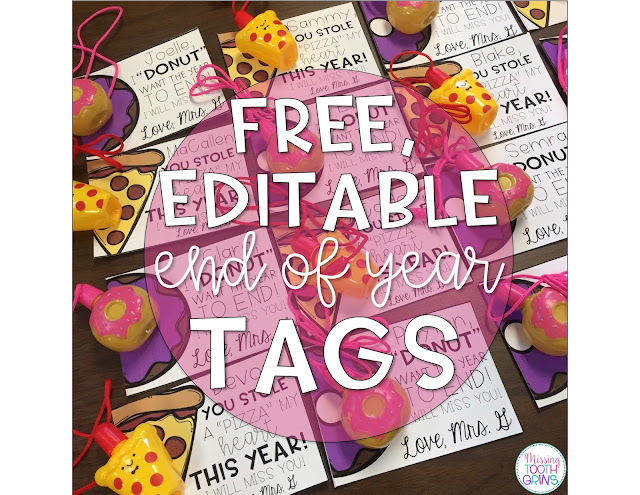 Did you happen to grab up the cute pizza and donut bubbles in the Target Dollar Spot this year?! I gave them out as student gifts on the last day of school! You can grab the free tags to go with them here! Or click on the picture above! Enjoy! !